Field of view 3.5 mm. 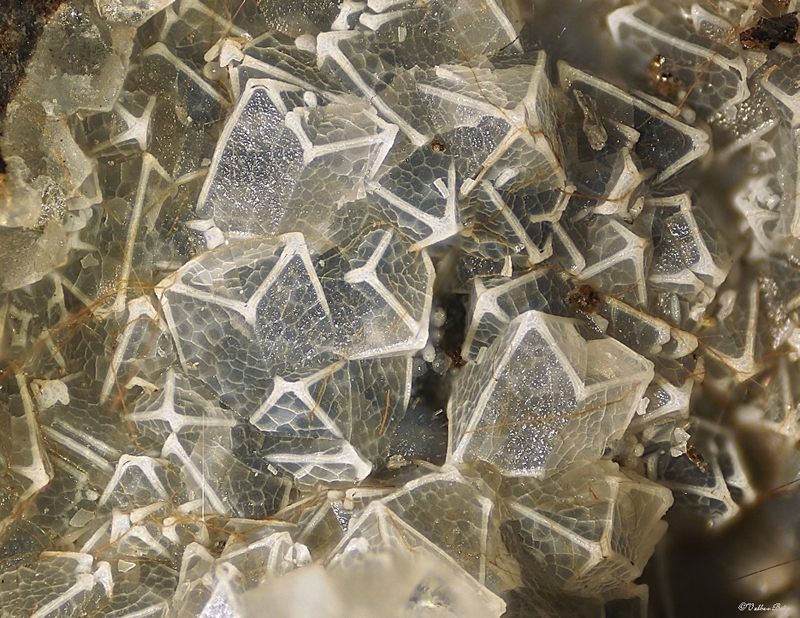 This is a rare type of faujasite twin crystals with white edges and coating over clear crystals. Stack of 20 pictures taken with Zeiss Luminar 40 mm at 50 µm distance on Leitz Ortholux I Binocular phototubus(22 cm) with Lumix D2 as a camera. Processed with Helicon Focus, Helicon Filter. Final size with Irfan view. Collected at quarry I.